The 2011 French Bioethics Law regarding disclosure of genetic information within families enables health professionals to notify any at-risk relatives directly, with the patient’s consent, using a template letter. To assess the impact of this template letter in terms of understanding, personal feelings and intent to contact a health professional, we conducted a study interviewing patients, members of the public and genetic professionals. Although the main response to the letter was anxiety, this was associated with good understanding of the content and most individuals mentioned intention to contact a health professional. The online version of this article ( https://doi.org/10.1007/s12687-019-00418-7) contains supplementary material, which is available to authorized users. 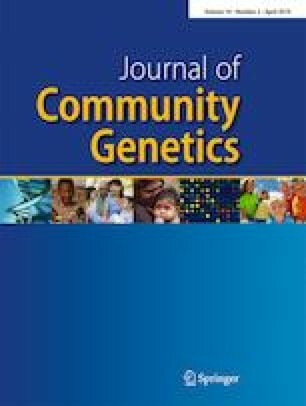 The authors would like to thank the FMBA for funding the research project “Evaluation of a template of an information letter to relatives in the scope of genetic testing practice” as well as the patient association and the general practitioner, Dr. Francoise Rouquier, who helped us in the writing of letter B. The authors are grateful to Pr Heather Skirton for comments and reading of this manuscript. This project was funded by the French Biomedical Agency. The funder had no influence in the design or execution of the research. All procedures followed were in accordance with the ethical standards. This study was approved by the Research Ethics Committee (CPP SOOM III: Comité de Protection des Personnes Sud-Ouest et Outre-Mer III). Informed consent was obtained from all participants included in this study.